If you're after a sweet destination for your next holiday, it doesn't get much sweeter than Bundaberg. "Bundy" is famous for its sugar cane, rum and ginger beer, but when you stay in one of our Bundaberg hotels, you'll discover that there's so much more in this big country town. Bundaberg is heritage-rich and you'll need a few days to visit all of the historic sites. Sugar cane was first grown in Bundaberg in 1880 and there are a few different landmarks that you can visit in the city to learn more about its milling history, including the Millaquin Mill, which has been running since 1882. One of the by-products of the local sugar is Bundaberg Rum. The Bundaberg Distilling Company has been producing its world-famous rum since 1888, so make sure you pay a visit to the Bundaberg Distilling Company Bondstore and the rum museum at Spring Hill House while you're here. History buffs will especially enjoy a visit to the Bundaberg Botanical Gardens, which offers more than just a walk among the roses. Here, you can drop into the Fairymead House Sugar Museum to learn more about the town's sugar milling history, or check out the displays in the Hinkler Hall of Aviation, dedicated to the late aviator Bert Hinkler. Other must-visits include the Old Pharmacy, the Bundaberg Railway Museum, the East Water Tower, the Bundaberg School of Arts and the Old National Australia Bank Building. Despite being a city, Bundaberg offers a lot in the way of natural beauty. There's the Burrum Coast National Park, Baldwin Swamp Conservation Park and Alexander Park. However, the icing on the cake is Mon Repos Beach – the South Pacific's biggest rookery of loggerhead turtles. November to March is the best time to see them nesting and hatching, but make sure you make a booking at the Mon Repos Conservation Park because this activity is really popular. Bundaberg is also the gateway to the southern tip of the Great Barrier Reef and you'll see some spectacular marine life if you go diving or snorkelling around Lady Elliot Island or Lady Musgrave Island. Bundaberg Rum, produced from Bundaberg Sugar, is the most famous food product here and you can sample some after a tour of the Bundaberg Distilling Company Bondstore and Spring Hill House. Make sure you purchase a bottle to take back home. If you're not much of a drinker, there's an alternative beverage which Bundy is also famous for – its non-alcoholic Bundaberg Ginger Beer. You can watch the brewing process at the Bundaberg Barrel and then sample some classic Ginger Beer, as well as the other sparkling drink flavours like passionfruit, sarsaparilla and blood orange. To get here, grab one of these cheap flights to Bundaberg. Once you've arrived, you can get around the inner city on public buses, but if you want to explore the wider Bundaberg Region, you can hire a car. 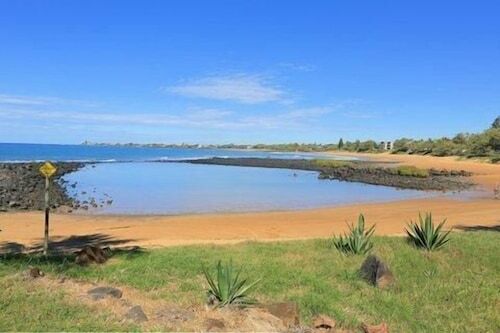 Once you're behind the wheel, you can also visit nearby Bargara and hit the beautiful beaches. A holiday surrounded by natural beauty and historic sites – wot more could ask for? Book your Bundaberg accommodation with us now and make sure you leave plenty of room in your suitcase for multiple bottles of rum and ginger beer! 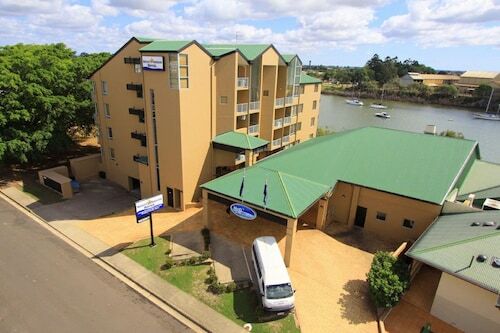 How Much is a Hotel Room in Bundaberg? 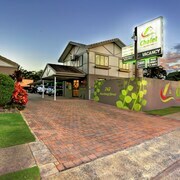 Hotels in Bundaberg start at AU$78 per night. Prices and availability subject to change. Additional terms may apply.